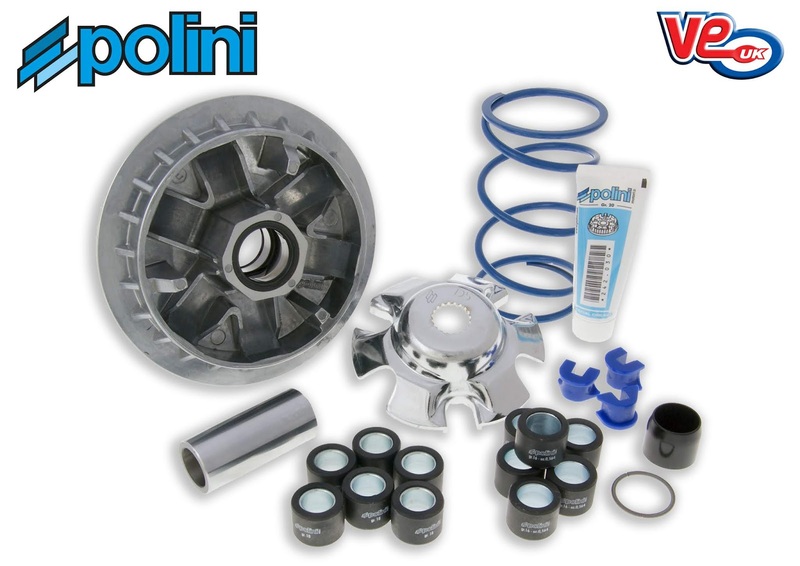 Polini produce their Hi-Speed Control Variator to enhance the acceleration, mid range and top end performance for most popular automatic scooters, which are available through UK importer VE (UK). Polini engineers have recalculated the roller sliding area to increase the performance and torque of the scooter and such allows you to get the best out of your machine. The Variator hub is produced from alloyed steel with sliding surfaces featuring a hard chromium facing that is ground and lapped. The half pulley produced from an aluminium alloy with a silicon content. All in all, this gains you the long lasting performance and quality that you have come to expect from a Polini product. This entry was posted in Automatic Parts and tagged Hi-Speed, kits, polini, Variator. Bookmark this page.